T-Mobile has announced the upcoming availability of the Samsung Galaxy S Blaze, the third of its smartphones to use its 4G HSPA+ 42 technology. The Samsung Galaxy S Blaze features a 1.5GHz Qualcomm Snapdragon S3 processor, a Super AMOLED touch screen and runs on Google’s Android platform. 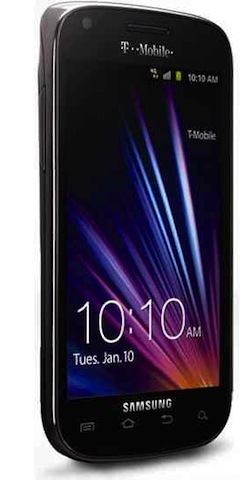 T-Mobile expects the phone to be available later this year but hasn’t announced pricing yet. It is encouraging consumers to sign up for alerts at http://www.t-mobile.com/GalaxySBLAZE4G.